Since the Scientific Revolution in the 16th century, measuring and analyzing has been a way to understand the world around us. Startups are no different, as measuring business and customers is a way to gain insight into what to do next. Actionable insight — pieces of information that give us direction and validation in our decision-making — is how one startup is able to run faster than others. In order to turn data into insight, we need analytics. Analytics is what turns data into actionable insight. We at Superhero Capital see hundreds of relevant, potentially investable, startups every year that fit our investment thesis and scope. Scowering through our dealflow, we’ve formed a way to classify early-stage startups into categories based on the analytics we see them undertake, practice and preach. 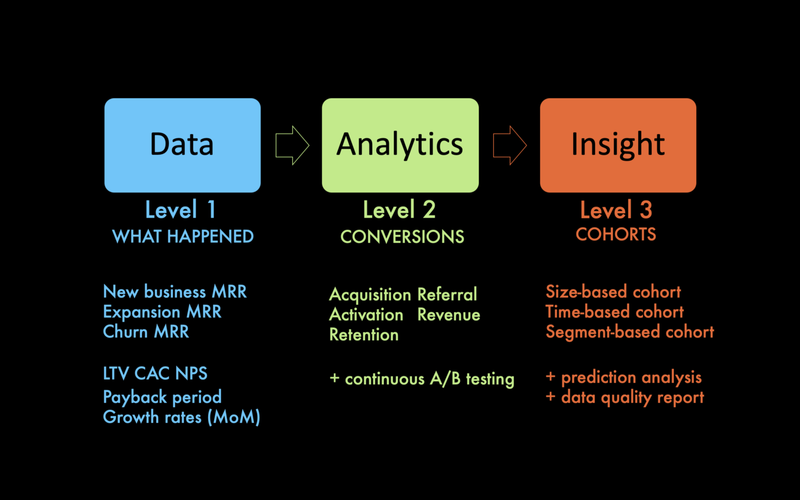 We’ve use four different levels of analytics to quickly rank startups in our dealflow process. I’m not gonna go through how all the metrics in each level are defined but rather provide examples and links along the way for the true Superheroes who want to learn more. These levels are most relatable to SaaS businesses but the concepts apply to all, regardless of business model or industry. We created the ‘4 Levels of Superhero Analytics’ to aid our dealflow process in faster decisionmaking, and I think it’s time to share it for startups as well. This level is the bare minimum and every startup is here to start with. 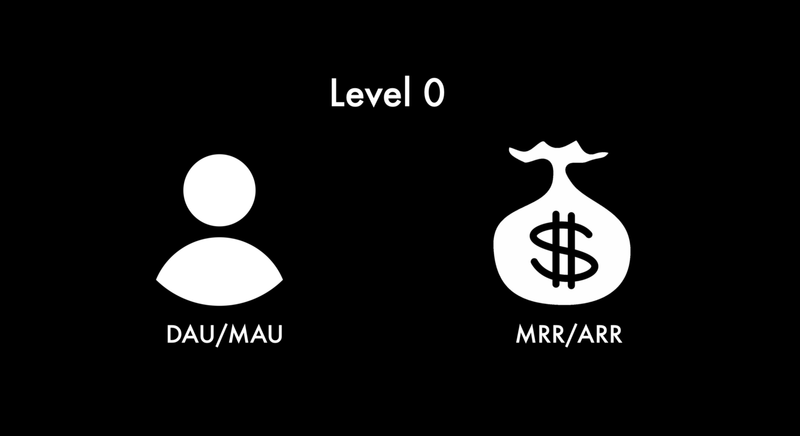 At level 0, you’re measuring the two basic things that keep a startup, or any business for that matter, afloat and running: users and money. For SaaS, this is typically done by measuring your daily/monthly active users and your montly/annual recurring revenue. 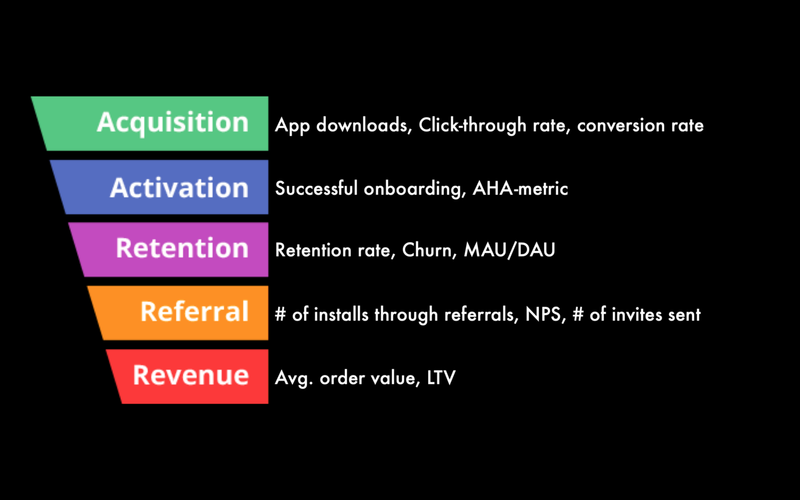 The absolute basics of SaaS metrics. To be completely honest, if you’re at this level you shouldn’t go talk to VCs. It’ll be a waste of both your time and their time. I’ve had the 'priviledge' of finding myself face-to-face with a few teams at level 0 and their logic is, more often than not, hilarious. At level 1, you start looking at what happened and start breaking down your individual metrics. This split is important because it enables you to understand where your revenue actually comes from and the current state of those sources. Baremetrics has a fairly comprehensive guide to MRR, which is worth checking out. Typcially, startups at Level 1 also look at their customer acquisition cost (CAC) and customer lifetime value (LTV), payback period and Net Promoter Score. A good way to scrape the surface is Hubspot’s blog, which explains CAC/LTV, NPS, and payback period without too much fuss. At this stage, you also get familiar with churn and it’s different categories as well as start dreaming about negative churn. This level is all about conversions. You’ve broken down your metrics such as MRR into pieces, and now it’s time to further break down your customer journey funnel. There are many ways to do this but one of my favorites is the AARRR framework by Dave McClure. It’s a framework with 5 different steps you can focus separately on in the customer journey funnel with certain metrics to optimize in each phase. Below you’ll see the five phases as well as example metrics for what one could measure. In addition to looking at the customer journey funnel in more depth, Level 2 startups have incorporated continuous A/B testing into their company culture. They’re testing ads, landing pages, welcome emails, and product features, to name a few. Keyword here is continuously. One of the most famous examples of testing is Google’s 41 shades of blue. The more you A/B test, the faster you’re running towards product-market fit. This is the true Superhero level. After subcategorizing your metrics and breaking down your customer journey funnel it’s time to keep digging deeper. Level 3 aims to know everything at every stage with every customer. At this stage, cohort analysis steps into the game. The idea is to look at how cohorts behave (over time) and gain insights through analylzing the different customer segments and their behavior. Let’s say you make a time-based cohort analysis for customer churn, which is one of the most common cohorts in SaaS business. This allows you to visualize the way your churn rate evolves throughout the customer lifetime and gives you insight into questions like “Does churn stabilize after some time?” or “When during the customer lifespan is churn the highest?”. You can also segment customers based on device or language, which is segment-based cohort analysis. In practice, there is a nearly unlimited amount of segmentations possible granted a big enough data set and good enough data quality. Size-based cohorts, naturally, have to do with the size of the client such as pricing tier cohorts. If you’re short on time and want to start off simple, even Google Analytics has a cohort feature. At Level 3, startups also start looking at their data quality, which often deals with the way data is logged. In addition, they start doing prediction analysis on how well they’ve been able to train their own prediction algorithms. If you don’t measure anything how can you know which way to move and what decisions to make in search for product-market fit? The best teams have measuring, testing and analyzing in their DNA. Essentially every level is a process of further breaking down a metric, customer journey or the customers themselves into smaller categories enabling for a deeper understanding of that particular number, phase or group, respectively. When we see teams that are at Level 2 or Level 3, it sparks an immediate interest as we know they have the right mindset and tools to gain both actionable insight on their business and customers as well as navigate towards product-market fit in a consistent way. Which level is your startup at? Give it a thought.